The S.C. Department of Natural Resources is seeking help from anglers targeting cobia to collect DNA samples of fish caught in 2014 for ongoing research projects. These DNA samples will be used to identify hatchery released cobia and characterize the population structure of cobia captured along our coast. Anglers are encouraged to request a fin clip collection kit online. Anglers who do not collect fin clips are asked to donate filleted carcasses to the freezer collection program. There are four freezer locations or carcasses may be dropped in person at the Waddell Mariculture Center on Sawmill Creek Rd in Bluffton, SC. 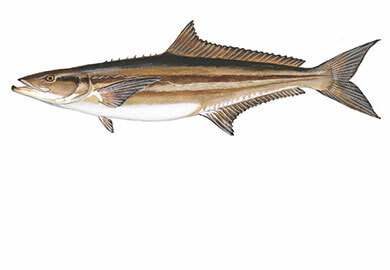 Cobia are a coastal migratory pelagic species with an annual spring run in South Carolina waters from April through July. In the late 1980’s and early 90’s the recreational fishery for cobia in South Carolina saw exponential growth as inshore anglers began to target cobia for their size, accessibility and fine table fare.